2. On two plastic wraps, using the back of the spoon spread two teaspoons of Shio Koji each. 3. 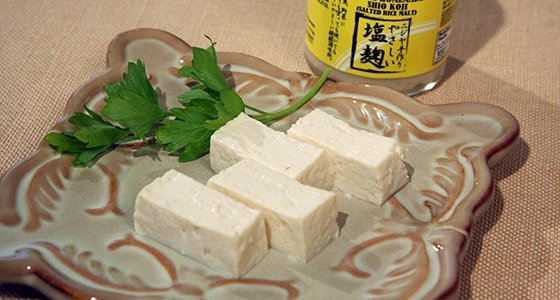 Put the drained tofu on top of the plastic, and put another two teaspoons on top of each tofu, and wrap it. Enjoy after refrigerating for two, three days.